Retailers love seasonal shopping peaks to unveil new products and drive revenue. However, with the evolution of mobile devices and digital media, marketers are finding themselves under an immense pressure to keep up with content demands. 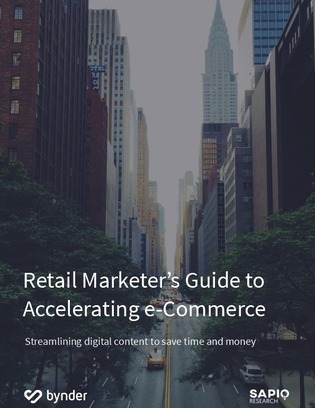 In this report, explore how marketing technology is relieving the pressures of peak periods in the retail industry, and why collaboration and streamlined processes are essential to outpacing the competition.